From comedy to sport, business to news & journalism, science to design, we have a roster of inspirational, powerful and successful women, who have blazed trails once thought impassable. Whether you are looking for a female comedian, entrepreneur, gardener, presenter or scientist, we work with too many excellent women speakers to bring you in one go. Below is just a small selection of from our offering. Sharron Davies occupies a unique position in British life, having been one of the UK’s most popular sportswomen since she was a 13 year old Olympian. Almost 40 years later she is still in constant demand for branding campaigns, speeches, commentating and game shows. A glamourous addition to any awards ceremony or personal appearance, she is also an inspiring motivational speaker, with a speech based on her own life’s ups and downs, which can be tailored to suit any aged audience from school prize giving to corporate conferences. Sharron is a great role model and passionate about encouraging healthy living and sport for everyone. Read our recent interview with Sharron here. 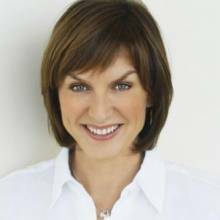 An award winning newscaster, Fiona regularly presents both the BBC News at Six and BBC News at Ten, and co-hosted Crimewatch for eight years. Fiona now also presents the Antiques Roadshow - a programme she loves, as she never knows what's going to turn up or what she will be filming that day. As a News presenter, she is cool, calm and collected under pressure. Less well known, though, is her secret wild side, with Fiona confessing: "When I was at university, I sang in rock bands and dyed my hair blue." The ability to strike the right balance between formality and friendliness is at the very the heart of her personality; giving Fiona universal appeal that makes her an ideal choice, whether you are looking for an entertaining after dinner speaker, awards host or an insightful and topical keynote speaker or facilitator. 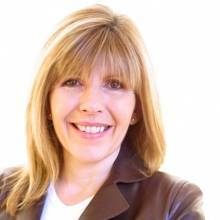 Maggie has over 30 years’ experience as a science and technology journalist and TV presenter. She is instantly recognisable to a generation of fortysomethings as Noel Edmonds’s co-presenter on Multi-Coloured Swap Shop, and of course a long-serving anchor on Tomorrow’s World (For those too young to remember, Tomorrow’s World gawped in wonder at the pocket calculator, the digital watch and the barcode reader!). Maggie was chosen by Ed Miliband to head up the Labour Party’s Digital Task Force and report on why the UK has fallen behind on IT. She is also a regular reporter on science and tech for BBC productions, including Bang Goes the Theory, Inside Out and Webwise. Maggie is a massive fan of social media and tweets loads of great stuff about science, new technology, and the many conferences she attends and speaks at. Maggie has a talent for handling “live” shows and her diverse range of broadcasting skills makes her a valuable asset for conferences, speeches and business presentations. 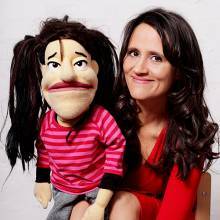 Nina is a ground-breaking Ventriloquist with postmodern weirdness. Her puppet sidekick is a depressed monkey named Monk, who is continually insulting Nina, swearing when he doesn’t get his own way. Granny is an elderly Scotswoman puppet, who often chides Conti for the simplest things she has done, whilst frequently talking about her dead husband Frank. But the favourite act for corporate events has to be Nina’s facemask. Rather than an actual puppet with a personality, the mask covers the lower half of an audience participant’s face and can be manipulated by a hand-piece held by Nina; making it appears as though the participant is talking. Nina often uses this to put the participant in awkward and funny situations, such as making them say that they want nothing more to do than dance in front of the audience, while their body language suggests the opposite. 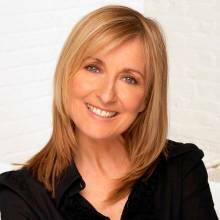 Journalist and TV presenter, Fiona Phillips is well known for presenting morning show GMTV from 1997 to 2008. After 12 years as the lead presenter, Fiona left to focus on other television projects. Her first assignment was a very personal and emotional film; Mum, Dad, Alzheimers and Me for Channel 4 as part of their highly acclaimed Dispatches series. Fiona has also hosted for Simon Mayo on his BBC Radio 5 Live Show, as well as hosting a weekly Sunday afternoon show on Smooth Radio and BBC London 94.9FM. During her time on the sofa, Fiona's warmth, intellect and genuine interest drew interviewees from all walks of life, including celebrities, politicians and members of the general public. As a journalist Fiona writes a very popular weekly column for The Mirror and has also written for the Tesco’s Magazine, the Saturday Express Magazine and as an agony aunt for New Magazine. Fiona is an excellent speaker and an experienced presenter and corporate host.